It's finally here! 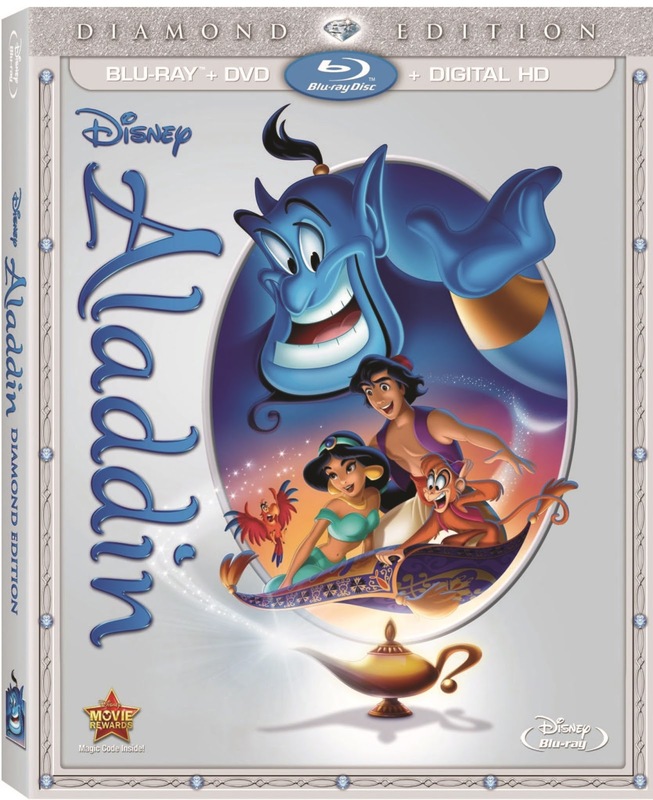 Aladdin - Diamond Edition. You remember those days pretending you had a magic carpet of your own to fly around in and your very own special Genie. 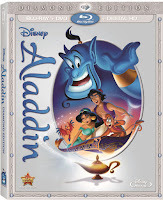 Now you can relive the magic and this time perhaps it will be an even magical adventure with your little ones. To get your little ones ready for a magic carpet ride, they can print out these wonderful activity sheets here and we all know It's never fun to travel on an empty stomach so here is a wonderful Chicken Kabob & Humus recipe. This is a great recipe that you can make with your little ones but if your child is anything like mine - picky to the extreme, she didn't even want to help at all. Please let me know how your recipe turned out. Instead of helping me with my recipe my daughter was gathering her crayons to color her activity sheets and putting together her puzzle. She would come home everyday from school and do her puzzle. I love how this movie feeds the imagination. She will create her own magic carpet and has her own "Abu" side kick and pretends to fly around rescuing stray dogs.